Just Modern Furniture is renowned for high quality TV Units at the cheapest prices. 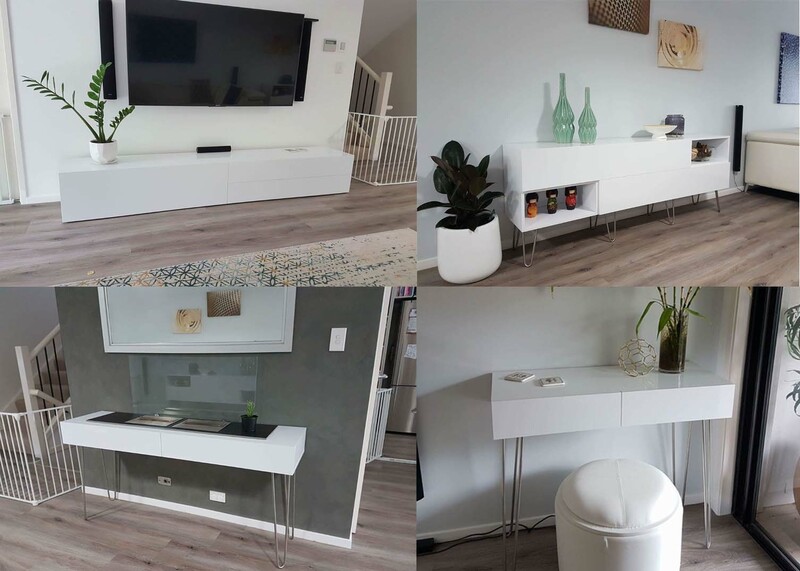 We have the most fantastic and appreciative customers in Australia, and they often send us comments and reviews about their TV Unit purchase. We really appreciate the kind words and the support we get from people, its truly amazing to see people spend time in their busy lives to write about us and our TV Units, so its important to us that these messages of support are shown. Here is just a taste of some of the best recently. Purchased a custom sized TV unit online - couldn't be happier with my purchase. Michael's customer service was above and beyond what I expected, particularly what great value the unit was. The product itself was exactly as advertised and easy to assemble. I have since purchased from the company again and would recommend anyone wanting a custom piece to speak to Michael. Thanks again! Exactly how I imagined it! Custom 2.4 Melbourne - This was a new experience for me, to make such a big purchase online and I was nervous. Michael at Just Modern Furniture was so accomodating, understanding and patient as we worked through the process of modifying one of the units to suits my requirements. 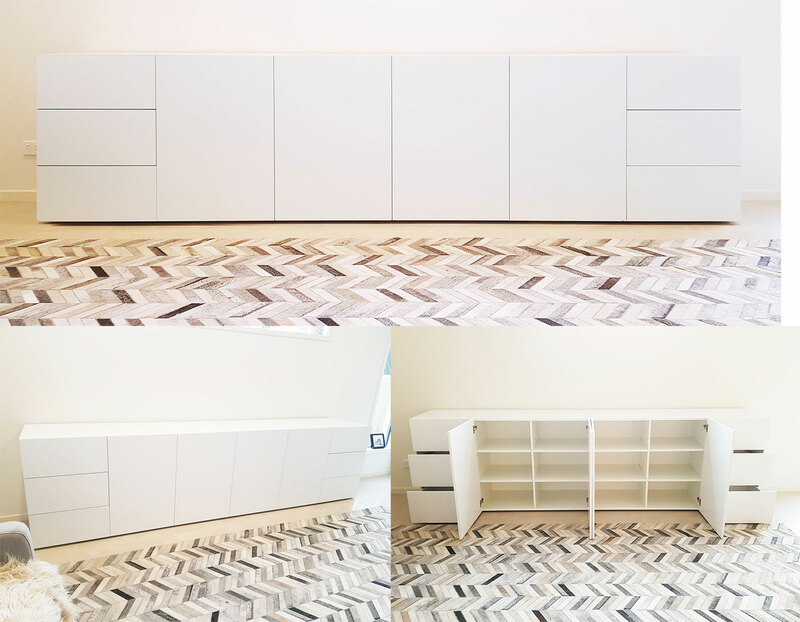 I was able to increase the size of the unit, change the configuration and choose an alternative shade of white to match existing shelves. In addition to that Michael designed a recessed plinth so the unit looks as though it is floating but is actually sitting on the floor and very stable. All this came in at a very reasonable price. The construction manual was very clearly written, specifically for my unit, and my husband and I were able to put everything together with no stressful moments! All in all we are delighted and would highly recommend Michael and his team at Just Modern Furniture. Thanks heaps Michael. We love it! Brisbane Floating 2.4 - I must admit I was a little hesitant buying something like this online. But it was the best decision I ever made! Michael at Just Modern Furniture is the most pleasant person I have dealt with - he is friendly, courteous and does everything he can to accommodate individual requests (I needed a 3mm hole drilled for my sound bar). The quality of the product is simply outstanding. I purchased the 2.4m Brisbane Unit in Premium Matte and it looks incredible! Michael arranged for a courier to deliver the unit at a very reasonable price. I am very impressed with the quality of the unit and highly recommend Just Modern Furniture to anyone! We purchased 5 cabinets in total from Just Modern Furniture back in October 2016. 4 of the cabinets were custom made with one large buffet being fully customised from the ground up. Michael was extremely helpful with the custom designs and provided 3D models. We worked together over email and a short phone call to work through the design of the fully custom large buffet. The price was fantastic too. It was comparable to smaller, lower quality units from your local store. Miami TV Unit Gloss - Hi there, I just wanted to let you know that we have received our furniture piece, and we are extremely happy with it! I cannot believe how easy the process was, and the quality of the product is excellent! Brisbane TV Entertainment Unit - The ordering process was made easy by emailing any queries and receiving a prompt reply. The waiting period was reasonable and the delivery on time and efficient. Very pleased with product. Ordered the Melbourne in premium matte white finish, with a hidden plinth instead of feet to give a "semi-floating" look. We are in Perth and the flat pack was delivered in excellent condition. Inside the boxes, the pieces were well padded and in perfect condition. The instruction book could have been clearer but my husband and I put it together without too many curses. I have to say, the components are very heavy! You really do need to have a couple of people on hand for a pain-free construction process. The finished unit looks great! All the parts align nicely and the holes in the back are plenty big enough to thread through all those annoying cables. I would definitely purchase from Just Modern again, (despite not being anywhere near a showroom!) and would definitely consider custom designing a wall of floating cabinetry (but maybe not putting it all together myself!). Really appreciated the ease of communication with Michael, and the fact that we purchased an Australian made product from an Australian owned business. Adelaide Floating TV Entertainment Unit - This is just what I was looking for its the perfect size for the area. Received product within specified time and an added bonus it was delivered fully assembled yay. Would definitely recommend. Melbourne Floating TV Entertainment Unit - I am super happy with this cabinet. The instructions to put it together were clear although I would recommend having someone with skills put it together. It looks great hung on my wall with the tv mounted on the wall above. I am so glad i bought this instead of the crappy rang available in chain stores. I am stoked with the matte finish, worth the extra money and it looks lovely but less intense than high gloss. Miami TV Entertainment Unit - Love this TV unit. We needed a long TV unit to sit under our mounted TV and fit across the wall and this unit does it nicely. The slimline look and and easy install just topped this great product and you can not go past the great price. Would be happy to recommend to my friends. Canberra TV Entertainment Unit - After spending weeks looking in stores for a TV Unit & not finding what we wanted. Found Just Modern Furniture online. Ordered the 2.4m Canberra Unit in White Matt. Arrived 4 weeks later. My husband didn't find it difficult too assemble thankfully. One of the front door panels was slightly damaged. Emailed Michael & he responded straight away & we had a replacement door in a week. No hassle! So we are very happy & paid half the price we thought we would have to! So i can highly recommend this Aussie Company from my experience. Matilda TV Entertainment Unit - We had spent a couple of weeks fruitlessly searching in dozens of "bricks and mortar" shops; finally tried an online search and found exactly what we wanted - and at a very good price. We're really happy with our new Matilda TV unit - looks even better than it does in the website pictures, and has excellent build quality. And we got a bonus: it was delivered assembled, rather than flat-pack to put together - very much appreciated. A small issue with cable cutouts - which we would have known how to solve if we'd put it together ourselves - was immediately solved with one phone call. this is the only local company I found which make these TV units. The 'Perth' unit was exactly as per the website images and it came assembled and carefully wrapped to prevent damage in transit. The unit is excellent quality and I would buy from them again. Perfect fit for our needs. 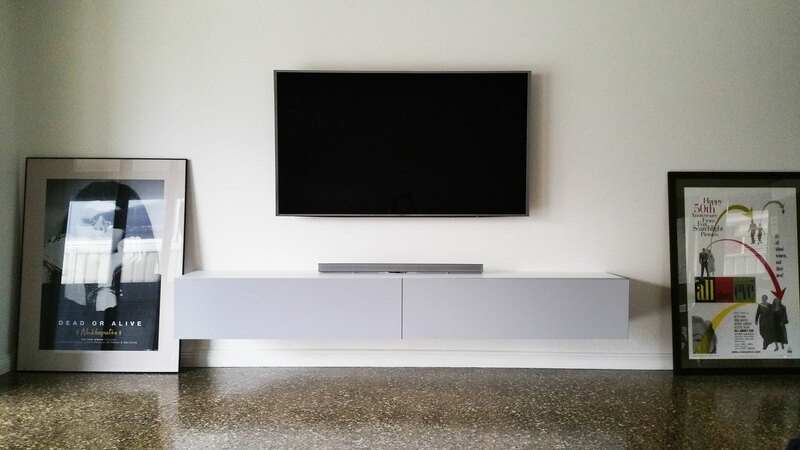 Sydney TV Entertainment Unit - After searching for a modern, good looking TV unit for 2 months and couldn't find one that would fit the bill, until we came across this company. Mike was great, we asked for some customisations which we weren't charged for. The unit ("Sydney") arrived on time and actually is able to fit loads of DVDs etc as well as have plenty of room for the AV equipment. Recently purchased a TV unit from their website, all though it took longer than expected there was good communication throughout the process. Beyond happy with the result, their items are fantastic quality and price. I was sceptical as the online pictures do not give you many details, but loved the look so much that i was willing to give it a try. I am happy i did. I tried every furniture shop to find something similar, even considered a made by order piece, so glad i didn’tThe cabinet is exactly as shown in the picture and comes at a fair and reasonable price. Our new tv unit is just lovely! It is well constructed and solid but has a sleek elegance. 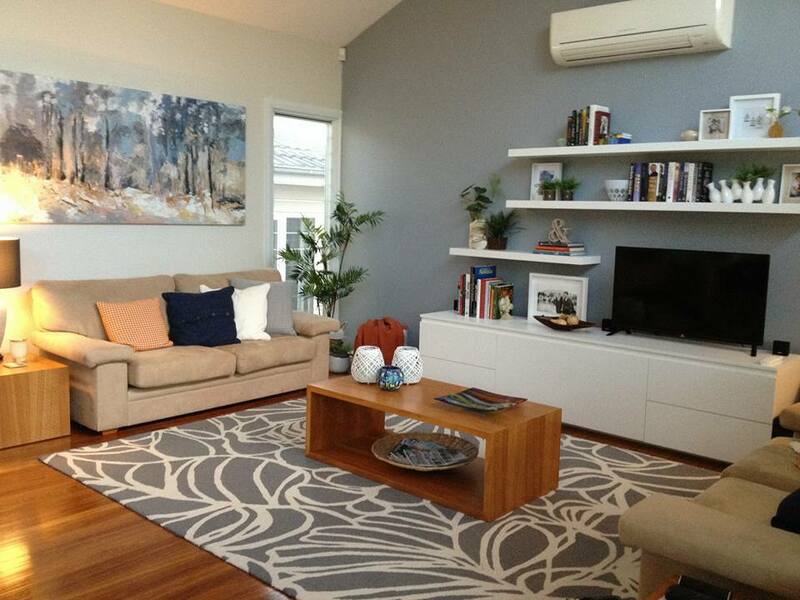 The matte white finish looks great in our lounge room. The unit is even better than the photos!